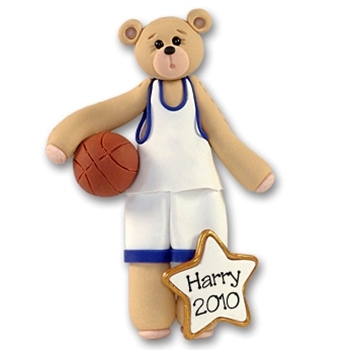 One of Deb's famous Belly Bears, this little guy is ready to hit the court. Easily personalized with a name and year on the star. Comes complete with a hook and satin ribbon for hanging. Measures approximately 3½" x 2"